Xiaomi, the Chinese smartphone manufacturer which has become the talk of the town due to the launch of its various new smartphones, is expected to launch a new and highly anticipated smartphone very soon. This smartphone is the Mi 6X which is the successor to the Mi 5X which was launched in China last year. As far as the anticipation factor is concerned, the Mi 5X was, frankly speaking, just another Xiaomi phone in China. However, the device was launched as the Mi A1 in India along with Android One support which made the smartphone very popular in India. As far as the Mi 6X is concerned, it is expected that this will be launched in India after China as the next device in Android One smartphone series from Xiaomi and could be named as the Mi A2 or the Mi A1 2018. Also, the Mi A1 was released late last year by Xiaomi but the release of the successor to Mi A2 could happen very soon as the Mi 6X has already been certified in China. Talking about the Mi 6X, the smartphone will come with a Dual camera setup, 18:9 aspect ratio display and Android 8.1 Oreo. Thus, it is expected that the Mi A2 will launch with the same specifications along with Android One support to add to that. Also, it is worth noting that the Mi A2 will be powered by the Snapdragon 626 processor which is higher than the Snapdragon 625 processor on the Redmi Note 5. 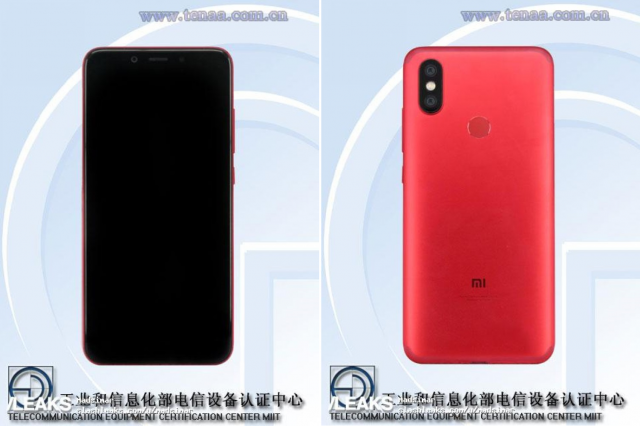 Apart from that, the Mi 6X or the Mi A2 looks very similar to the Redmi Note 5 Pro and the only difference is seen in their antenna lines design. Apart from that, the Mi 6X will also have an upgraded dual camera setup which will be a 20MP+8MP setup on the back from the 12MP+12MP setup on the Mi 5X or the Mi A1.